The following is the foreword that I have written for the outstanding new piece of Lincoln scholarship, Lincoln as He Really Was, by Charles T. Pace. Despite the fact that there are well over 10,000 books in print about Abraham Lincoln it is almost impossible for the average American – or anyone else – to know the truth about the real Lincoln. Having given hundreds of public presentations, appeared on dozens of radio talk shows (including the Rush Limbaugh Radio Show), and participated in numerous debates on the subject of Lincoln, I have learned that the average American knows nothing at all about the man except for the few slogans and platitudes that we are all taught in elementary school (and then repeated endlessly in the popular culture). As an elementary school student in the Pennsylvania public schools I was taught that Lincoln was so honest that he once walked six miles to return a penny to a merchant who had mistakenly undercharged him. Decades later, when I debated Harry Jaffa who, like the man he called “Father Abraham,” was a student of rhetoric (but not of American history), Jaffa assured the Oakland, California audience of several hundred that Lincoln’s political speeches were in fact “the words of God.” (This presumably did not include his dirty jokes, for which was famous). Lincoln As He Really Was Charles T. Pace Check Amazon for Pricing. Abraham Lincoln is the only American president that has literally been deified like a Roman emperor (Like Julius Caesar, his image is the first to be placed on his country’s coinage). Lincoln’s deification eventually spread to the presidency, and then to the entire federal government. The Lincoln myth is thus the ideological cornerstone of the global American empire, and has been for generations. 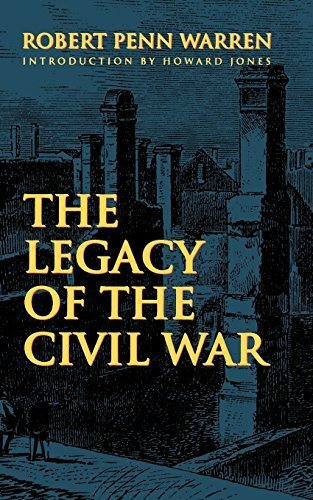 As Robert Penn Warren wrote in The Legacy of the Civil War, the deification of Lincoln (and of the government in general) has been used to argue that the “Civil War” left the U.S. government with “a treasury of virtue,” a “plenary indulgence, for all sins past, present, and future.” Consequently, American foreign policy intervention anywhere in the world is said to be always virtuous, by definition, because it is, well, American. By Robert Penn Warren ... Robert Penn Warren Best Price: $6.52 Buy New $11.63 (as of 09:55 EDT - Details) This revolutionary rhetoric is alive and well today. When Newt Gingrich authored a Wall Street Journal article in which he advocated the military invasion of Iran, Syria, and North Korea during the George W. Bush administration, he naturally titled the article “Lincoln and Bush,” implying that such belligerence would be “Lincolnesque” and therefore should not be questioned. When the Marxist historian Eric Foner of Columbia University opposed the breakup of the Soviet Union in an October 1991 article in The Nation magazine he titled the article “Lincoln’s Lesson.” Unlike Gorbachev, he said, Lincoln would never have let the Soviet satellite states secede in peace. The Communist Party USA used to hold “Lincoln-Lenin Day” rallies and had a giant portrait of Lincoln in its New York City offices. Even the former dictator of Pakistan, Pervez Musharref, invoked Lincoln’s unconstitutional suspension of the writ of Habeas Corpus to “justify” martial law in his country. The deification of Lincoln has become a useful rhetorical tool for tyrants, militarists, and enemies of freedom everywhere. This all changed after the assassination as the Republican Party reveled in what Larry Tagg calls a “propaganda windfall.” They would rewrite history with the help of the New England clergy in order to impose on Americans their version of what is essentially a New England theocracy composed of a government of nannies, pests, busybodies, tyrants, and money-grubbing plutocrats (known as “Yankees” by some). 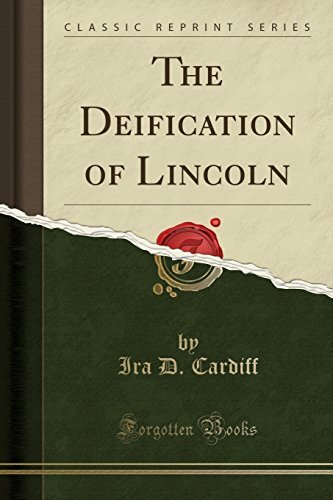 The Deification of Lin... Ira D. Cardiff Best Price: $12.50 Buy New $9.57 (as of 06:40 EDT - Details) Well, no longer. 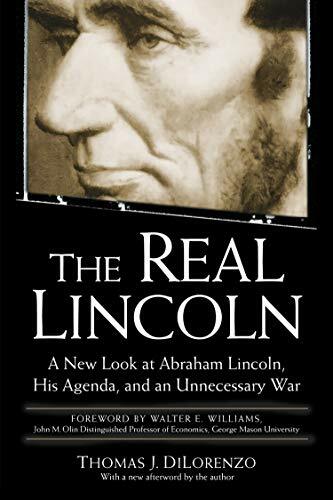 Lincoln as He Really Was by Charles T. Pace is a refreshingly truthful antidote to the standard Lincoln mythology. It is refreshing because it is so fact-based and well documented and devoted to historical truth. 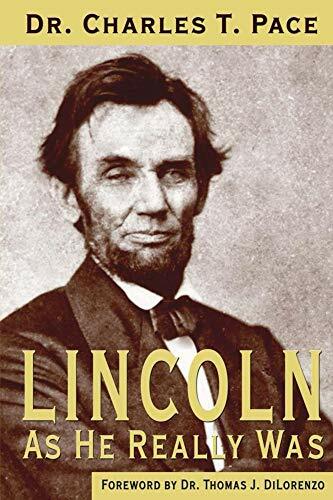 Lincoln as He Really Was is not your typical boring, voluminous biography filled with thousands of disconnected (and often irrelevant) facts dug up by a dozen graduate research assistants and published by a card-carrying member of the Ivy League Lincoln cult. It is the first book since Edgar Lee Masters’ 1931 classic, Lincoln the Man, to attempt to reveal the truth about what kind of man Abraham Lincoln really was. 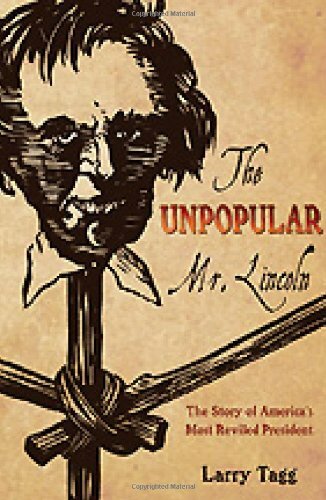 Based on voluminous research of Lincoln’s actions, first and foremost, and not just his rhetoric, Pace describes how Lincoln was an expert manipulator of people; extremely lazy when it came to physical labor (contrary to the “rail splitter” legend! ); was not at all well read; and what he did read was almost exclusively books about speech-making and rhetoric, with titles such as Lessons in Elocution. The book confirms in spades what economist Murray N. Rothbard once said about Lincoln in an (online) essay entitled “Just War”: Lincoln was a “master politician,” said Rothbard, defined as one who is a masterful “liar, conniver, and manipulator.” He makes any “master politician” or our time look amateurish by comparison. Pace shows what a political animal Lincoln really was, a “zealous party man” who honed his skills, such as they were, of personally attacking his political opponents with often over-the-top ad hominem assaults, similar to how the Marxists of his day, and our day, argue(d). None of Lincoln’s family members voted for him, nor did 20 of the 23 ministers in his hometown of Springfield, Illinois. He did not even carry his own county in the 1860 election. These are the people who knew him best. Lincoln as He Really Was ends with a masterful exposition of how Lincoln used all the skills of the master politician, accumulated over three decades, to incite South Carolinians into firing on Fort Sumter in order to use the incident (where no one was harmed or killed) to “justify” waging war on the South. His war cost the lives of as many as 750,000 Americans according to the latest research in order to “save the union,” his professed war goal, and that of the U.S. Congress as well. Of course, in reality his war destroyed the voluntary union of states created by the founders and replaced it with a more Soviet-style, compulsory “union” held together by violence, death, mass killing, and coercion. You, dear reader, may believe that there is something fishy about The Official History of Abraham Lincoln. Or perhaps you are incensed that you have been lied to all your life by the politically-controlled/politically-correct education establishment. 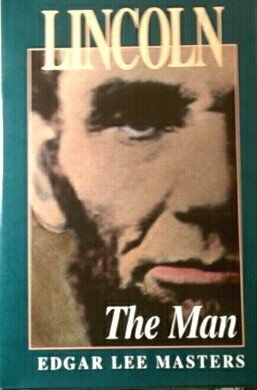 If so, Lincoln as He Really Was is a must-read as a first step in your rehabilitation as an educated American citizen – or as the citizen of any other country. It will be especially helpful in allowing your children and grandchildren to have an opportunity to learn the truth about this important aspect of American history.